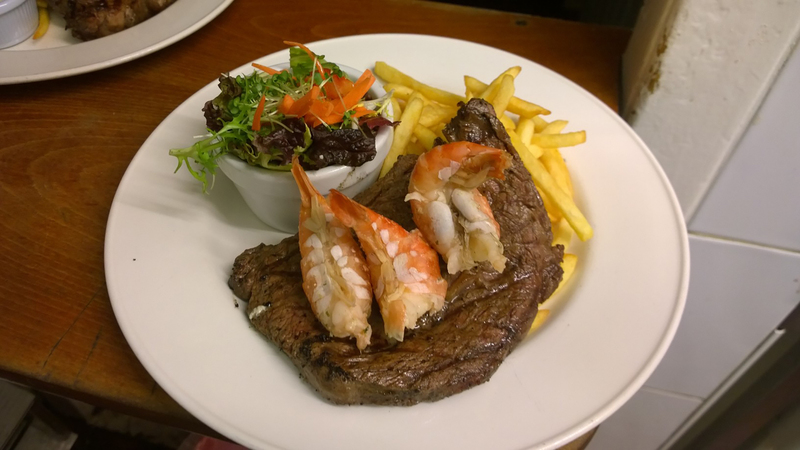 We are a small, family run restaurant specialising in carefully sourced Aberdeen Angus beef, cooked simply but with flair and attention to detail. Our emphasis is on quality and freshness, wherever possible using the best of local produce. Our beef is selected, prepared and hung for us by John Gilmour of Tranent, master butchers since 1946. Fresh fish is supplied by third generation local fish merchants, Ranaldi, based in Granton. Mussels are delivered daily from the west coast. Our venison comes from wild Perthshire deer, lamb from the Scottish Borders. Artisan and farmhouse British cheeses are supplied by renowned Edinburgh cheesemonger, Iain Mellis and dairy produce from Fife Creamery. My husband and I went to Widfire this evening for my birthday. After hearing good things from friend and family, we couldn’t have made a better decision! The food, atmosphere and staff were amazing. After a delicious starter we had what my husband describes as “The best surf and turf ever!” The icing on the cake for me was finding out that almost all the desserts could be made gluten free. Perfect for a ceoliac like myself. We shared the most delicious chocolate and hazelnut gf cheesecake! We were literally in food heaven. The staff were warm and welcoming, such a great experience, highly recommended to anyone.